The Committee for the Advancement of Scientific Skepticism (CASS) was asked recently to take part in a discussion of the relationship between religion and the environment. A number of questions were put to the group, and I have reproduced those questions below with some of my (brief) answers. Feel free to chip-in in the comments – I’d be interested to hear what others think! 1. Is religion to blame (at least in part) for the environmental crisis? Religion is correlated with poor scientific knowledge in general, so an awareness of environmental issues might be lacking in religious communities. This is not the fault of religion, but an unfortunate socioeconomic correlation. You could make a case that this scientific illiteracy is the result of the suppression of critical thinking in dogmatic theology, but you’re getting into bigger issues there. I’m sure you could point to some preachers or theological perspectives that would support the notion and Christianity is destroying the planet. However, I think that it would be a stretch to blame environmental degradation on religion. Indeed, I am sure that there are as many pro-environment Christian groups as pro-exploitation Christian groups. Saying that “Christians are destroying the planet” is like saying that “white people carried out the Holocaust” – it’s true for the most part, but that is not the causal factor. The reasons that people destroy the environment are apathy, ignorance and selfishness. 3. New broad-ranging religious activism across religious lines in the name of “creation care” suggests that religion and science may not be as incompatible as is often assumed. Are we blaming the (religious) messenger when the message may be more nuanced than often assumed? It is easy to argue that the Dark Ages (largely the product of religious leanings) delayed global technological development (see below for a graph illustrating, albeit qualitatively, this concept). This may seem like a bad thing, but had we developed more quickly, we may have destroyed the planet more quickly. David Quammen (who Ottawa-based CFI-ers were lucky enough to see a few months ago) once said that the horrific diseases caused by the mosquito are the single greatest protection that the rainforest has. Detrimental phenomena can be a positive when they dissuade us from a potentially destructive path. Those points aside, I think religion has been largely neutral. 5. What is the humanist/skeptic’s positive case for a green ethic? From the Council for Secular Humanism’s Statement of Principles: “We want to protect and enhance the earth, to preserve it for future generations, and to avoid inflicting needless suffering on other species.” The philosophical underpinning for a “land ethic” (sensu Aldo Leopold) can be seen as an extension of our attribution of rights to people and animals. Obviously we believe in an “inherent value” to life and the planet in that sense. 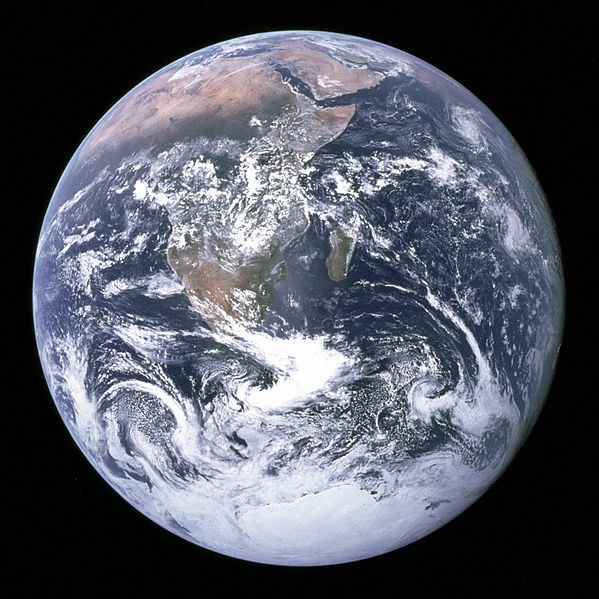 We also, through scientific research, have discovered the great interconnectedness of living things, and hence the importance of maintaining the balance of nature to the functioning of the “pale blue dot” on which we sit – the “instrumental value”. Finally, we value the “aesthetics of life”, be it the elegance of diatomic formations, the plumage of a bird of paradise, or the athletic performance of a cheetah racing across the Savannah. All of this insight is gained through a perspective that sees humankind as simply another small piece of a much greater whole.